After a day in Frome, Somerset and an overnight stay nearby we had a whole day to get home. The book of National Trusting was consulted and I stuck the virtual pin in ‘Lacock Abbey, Fox Talbot Museum and Village’. As a photographer (isn’t everyone now), I was aware that Henry Fox Talbot had played an important part in the early development of photography. Later we learned that our man Fox had lost the race to bring the first photographic process to market, to Loius Daguerre. Talbot’s process developed ideas from John Herschel (son of William) and Thomas Wedgewood (yes, Lunar Society babs, son of Josiah.) Science was a popular hand-me-down in the top British society families. The key break-through made by Talbot was the development of a viable process for the production of a negative image, allowing reproduction of images. 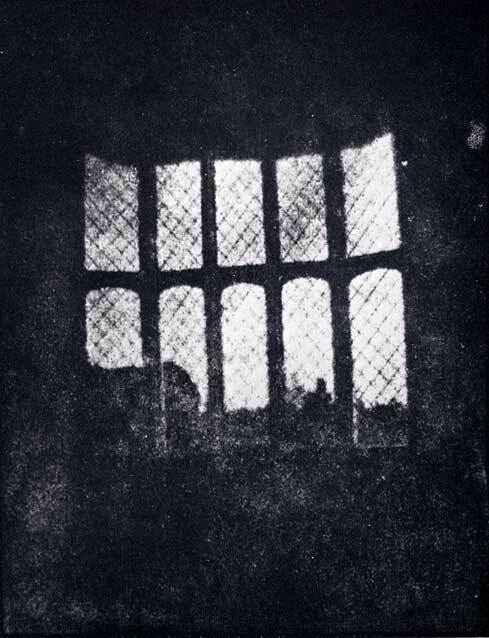 The oldest negative in existence is this photograph of a window in Fox Talbot’s family home. Fox Talbot is believed to have become interested in photography because he had little artistic talent and felt left out when the rest of his family were sketching. He wanted to automate the artistic process. In later life he gave up photography because he realised that others were still able to produce better images than him. His daughters all became talented watercolourists each with noticeably different personal style. A room in the house is dedicated to their paintings. The Abbey was sold during the Reformation but in an unusual act of good taste, the new owner left the ground floor in its original state and converted only the nun’s living quarters into an unusual family home, without major disruption to the original architecture. Access to the upper floor was by guided tour. 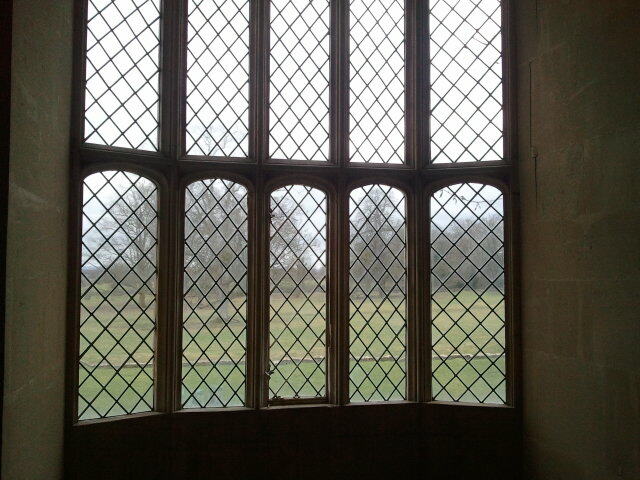 We moved quickly but as I passed the famous window I just had to take a grab-shot with my phone camera, in DIGITAL. During the tour of the museum, as I looked at the collection of old cameras, I realised that the inheritance line of printing from analogue, negative images that started in 1835 has ended for mainstream photography. Only art can keep it alive.